The L.A. Times tech blog reports on “security experts” (about as vague a term for any source) saying that we’ll soon look back on this network hack and laugh about it. “You are at a greater risk driving home today than you are of not being able to buy a house for the rest of your life because someone stole your identity,” said Bruce Schneier, one of the experts mentioned. Ars Technica, in a much better article that seems like someone really picked up the phone and made some calls, quotes Beth Givens, of the Privacy Rights Clearinghouse: “The key piece of data for identity theft is the social security number, and that has not been compromised.” Whew!! Dodged a bullet on that one, though Ars goes on to say that Sony’s reputation may not be the only thing in a quandary… They may have legal issues that stem from this incident, including on the amount of time they took to inform account holders that their information was at risk due to the hack. Seriously… as Sony was oh so nice to put forth yesterday, if you are at all concerned that your personal information contained on the Sony PS Network has been compromised you ought to contact the Big Three credit reporting firms to see if any u nusual activity has been reported of late. If you’re like me, and realize that such activity may not occur immediately following such a heist of personal data, then you’ll be checking in about a month. If you’re ultra-paranoid there is no harm in checking now. Although Sony listed the Big Three’s sites and contact info, the best way to get a truly free series of reports (in one fell swoop!) is to visit Annual Credit Report’s website. 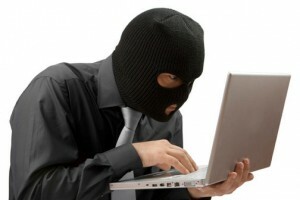 (If the clickable link doesn’t work, just enter https://www.annualcreditreport.com/cra/index.jsp into your browser’s address bar). That site’s the only authorized source recognized by the FTC… only caveat is that the Big Three will still try to sell you crap (like your credit score). The only thing you legitimately need is the free report. Once received (best advice… save as PDF instead of printing for later perusal and save a tree, these reports can get long) scan it with an eye for detail regarding your credit based accounts. 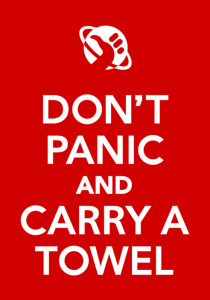 Good luck, folks… As the Brits say, Keep Calm and Carry On.